NEW YORK — Apple and Google want to help you spend less time on their phones — really. Like that time you checked Facebook at 3 a.m. Stats don't lie. 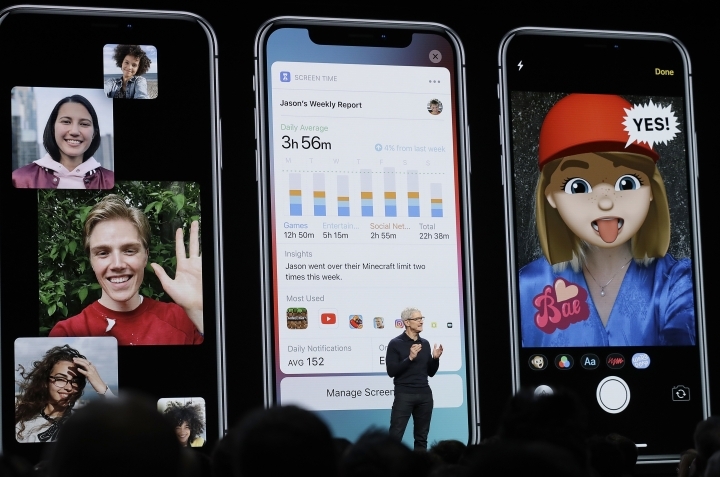 Apple's new controls for kids let you manage their time on their own devices, such as an iPad or a hand-me-down iPhone. Once you've got them set up, you can use your iPhone to check when your children are on their devices and what apps or websites they're using. You can restrict particular classes of apps and even establish a quiet period when most apps shut down. That latter "Downtime" feature is promising, though it has a few shortcomings. For one thing, it only lets you choose a single block of time each day, so if you're blocking late-night hours, you can't set a separate downtime for school hours. Plus, your selection applies seven days a week; you can't set different hours for weekends unless you want to manually change the settings every Friday and Monday. 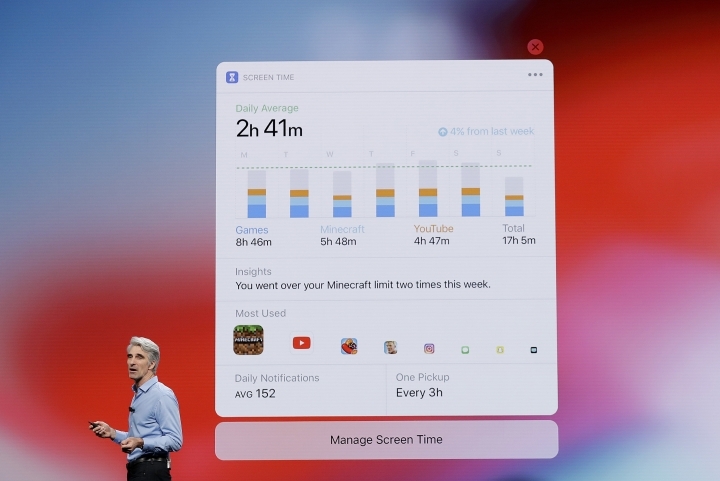 A new "Screen Time" feature lets you establish time limits for categories of apps, such as entertainment or games. In this case, limits can be different on weekends. You can also set limits app by app, or for specific websites, but it's tricky. From the Screen Time settings, tap the chart at the top to get a list of apps and websites. Tap on an app or site, and look for "Add Limit" at the bottom. It's best to configure all this from your own device using Apple's "Family Sharing" feature. You can set up limits directly on your children's devices, though remote monitoring features might not work properly. Either way, you'll need a passcode specifically for Screen Time. Be sure to pick one that's different from your phone's passcode, which your kids probably already know. Kids can ask for more time with a few taps. If you ignore or decline the request, Screen Time isn't supposed to let them keep asking. But for the moment, kids can just reopen the app to bug you with another request. Get ready for a digital version of "Are we there yet? Are we there yet?" Another Android feature will let you leech the color from your screen after a certain hour. This option, called "Grayscale," turns everything monochrome, rendering apps — and, heck, the entire phone to some extent — less appealing, presumably making it easier to put the phone down. Apple has a similar setting, although it's buried in the Accessibility settings for disabled users.